Which Laser Machine is most suitable for your skin? Cryolipolysis is an FDA approved technology used to destroy fat cells using controlled cooling to near zero temperatures for non-invasive localized reduction of fat deposits in order to reshape body contours. Lipocryo/ CoolSculpting is the latest breakthrough in non-invasive fat reduction. It painlessly removes your unwanted fat deposits that are not responding to diet or exercise. Studies have shown fat Freezing to be effective on an average 20% of the fat cells in the treatment area in just one session. Cryo Lipo cools the fat cells close to zero temperature which then crystallize and die as they can’t tolerate cooling. Results can start to be seen in as little as 2 weeks, although it may take up to 4 months for you to see the full effects of Cryo or Fat Freezing. 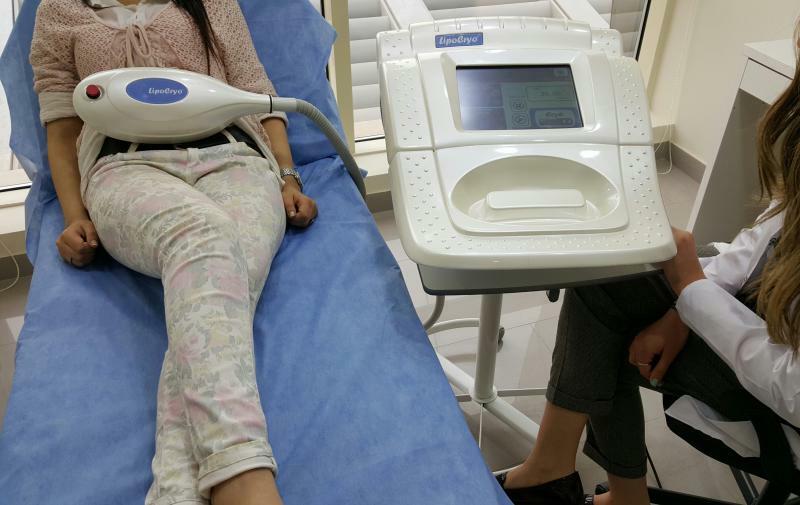 Cryolipolysis is an FDA approved technology. It was developed by dermatologists at Harvard Medical School. They found that cooling kills fat cells while preserving other tissues. Numerous studies confirmed that Cryolipolysis leads to fat losses an averge of 20% in a single session in most patients. A vacuum suction cup is applied to the treatment area which is then freezed, killing the fat cells while preserving other tissues that are much less sensitive to cooling. WHAT HAPPENS TO THE FAT CELLS THAT HAVE BEEN TREATED? Fats in the damaged fat cells are slowly absorbed and metabolized in the body. Increasing physical activity increases the fat metabolism. HOW LONG IS THE SESSION? An average of 45 minutes. HOW MANY SESSIONS WILL I NEED? An average of 2 to 4 sessions. WHAT WILL THE RESULTS BE? Clinical studies on Cryolipolysis have shown reduction of fat averages 20% in most cases depending on the thickness of the fat deposits, the physical activity and diet. It usually takes 2 to 3 months for the body to remove the fat from damaged fat cells. WHAT WILL I FEEL DURING THE SESSION? For the first couple of minutes you would feel the suction from the applied suction cup. The freezing then numbs the area so there will be no pain. WHAT WILL I FEEL AFTER THE SESSION? There is usually no discomfort after the treatment but occasionally a bruise may be noted for a couple of days because of the suction. WHO IS THE SUITABLE PATIENT? Cryolipolysis is not a weight loss procedure. It’s most suitable for individuals close to the normal body weight but suffer from localized fatty area that doesn’t go with diet and exercise. How can I maximize the benefit from the session? Healthy diet and regular exercise help the metabolism of fat from damaged fat cells. DermaHealth is run by Dermatologists experts in high tech treatments and winners of the European best laser treatment award, Paris 2015-16. Our strong academic background, expert dermatologists, state-of art machines, allow us to provide the safest and most effective treatments to our patients.